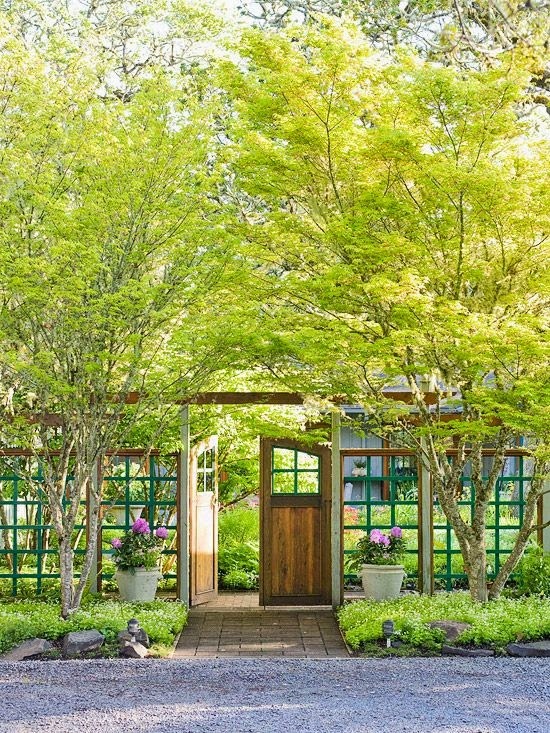 The double doors and pair of trees are so inviting! 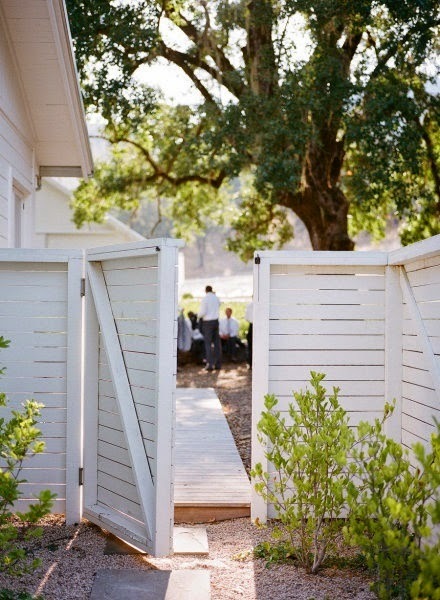 Classic cottage with an udpated twist: horiztonal slats. This one feels a bit like modern art. 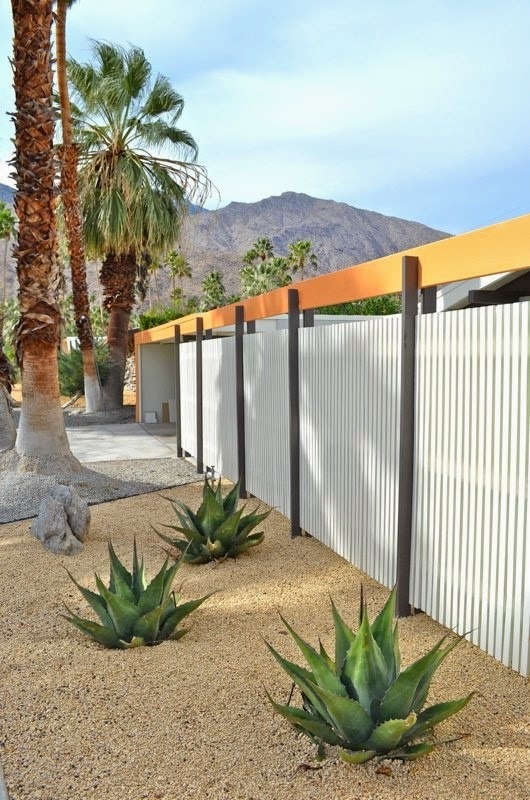 Low maintenance for the desert. 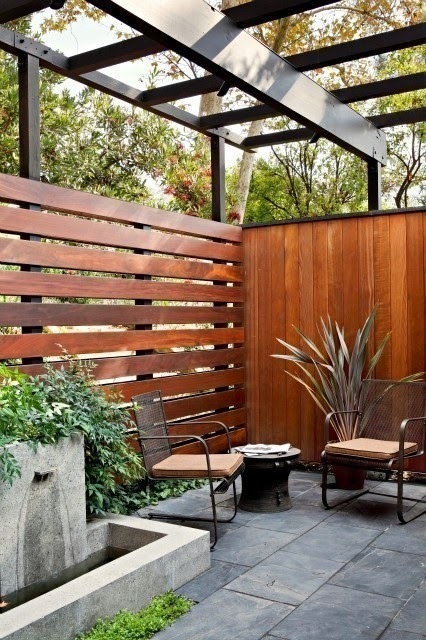 A steel trellis structure adds so much extra appeal to this lounge space. 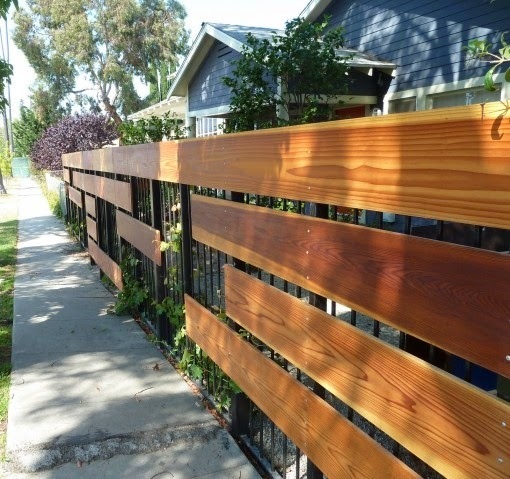 We also like that the fencing is a combination of horizontal and vertical, slatted and flush. 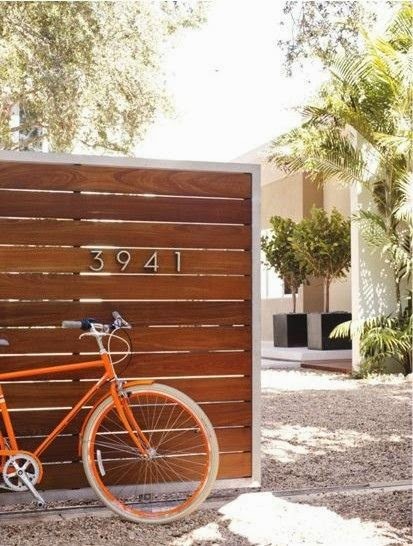 Do you have a cool fence? Share it with us!